The BOMA International 2012 Every Building Conference & Expo in Seattle stormed out of the gates Sunday with some great education sessions, a keynote presentation by an advisor to eight U.S. Presidents and an outstanding opening reception at one of the nation’s leading museums. On Monday, participants grabbed a cup of coffee and took in a state-of-the-industry presentation and gained insight from a panel of experts on where the commercial real estate industry is heading. Here are some highlights from days one and two. At the Sunday session on “Technology and Real Estate: The Next Frontier of Industry Transformation,” the key takeaways from the panelists were: The “green” agenda is roughly 50% effective because even with technology that cuts energy costs, employees still leave lights on; More metrics are needed to fully gauge energy savings, despite LEED certification and ENERGY STAR scores; Real estate is the last bastion for the Internet to fundamentally transform the way things are done, like it has with music and finance. Robert Gates was U.S. Secretary of Defense to Presidents Barack Obama and George W. Bush, and his impressive career included serving in six other administrations and as President of Texas A&M University and working for the CIA. Mr. Gates candidly offered some sobering observations on global politics before a packed audience at the Sunday General Session. He said there are no rational geo-political reasons for the U.S. to make China an enemy, and North Korea’s recent failed atomic tests have led to “performance anxiety” in the rogue, closed state. Iran is determined to become a nuclear power and has moved its nuclear testing to urban areas to avoid aerial attacks; a pre-emptive attack on Iran would result in “a catastrophe,” with the most option for Western interests being a regime change. The U.S. finally has the right strategy for success in Pakistan and Afghanistan from a military and civilian perspective; the goal is to prevent these governments from being taken over by Islamic fundamentalists. 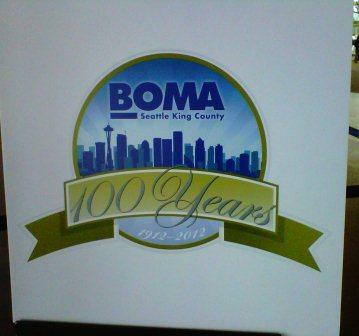 Sunday’s kick-off party celebrated the 100th anniversary of host BOMA/Seattle-King County. 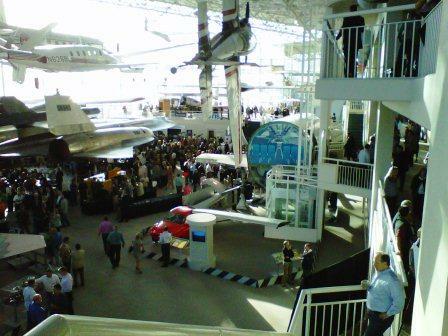 This memorable event was held at an equally memorable venue: The Seattle Museum of Flight. Attendees enjoyed touring the aviation museum’s attractions that ranged from flight simulators and space capsules to the Red Barn, the factory where Boeing Corporation got its start. 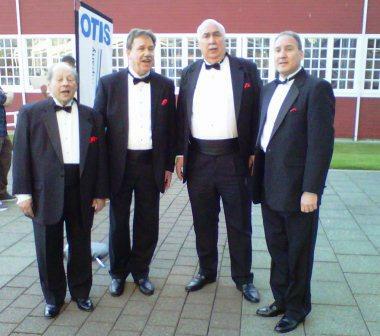 Along with fine food and drink, guests heard from two musical groups. Monday morning’s Opening Session was preceded by the “State of the Industry 2012” address from BOMA International President and COO Henry Chamberlain. He maintained that “the dynamics are in place for the economy to recover,” however several national issues – tax cuts, tax extenders, national healthcare – are pending and will certainly influence a recovery. Benchmarking metrics, like the BOMA Stars, BOMA 360 and Experience Exchange Report (EER), are driving building management performance today, and technology is impacting the market in two ways: It allows us to communicate instantly from anywhere, and tech companies are helping fill vacancies, especially in major downtown markets. Through technology, there’s more mobility and less office space. An estimated 1 billion workers worldwide are fully mobile and 50% of work space is unoccupied. There’s tremendous growth in the concept of more common space, less personal space. Emerging businesses are not interested in space on the 40th floor of a CBD office tower; to build brand identity, they want ground floor space on a three-story renovated property. Some 96% of office workers want to work from home, and 74.5% say they’re more productive at home. Market dynamics show there’s a demand for renovating older, outdated office properties and transforming them to meet demands of today. Offices with natural lights and views can be used as incentives to recruit the new generation of workers. We’ll offer more insight soon. Please share your thoughts on these topics and the BOMA International Conference so far. This entry was posted in BOMA/Chicago Events, Continuing Education, CRE Trends and tagged BOMA 360, BOMA International 2012 Every Building Conference & Expo in Seattle, BOMA International Conference, BOMA President and COO Henry Chamberlain, BOMA Stars, ENERGY STAR scores, Experience Exchange Report (EER), gained insight from a panel of experts on where the commercial real estate industry is heading, great education sessions, growth in the concept of more common space, John Salustri editor of GlobeSt.com, keynote presentation by an advisor to eight U.S. Presidents, less personal space, opening reception at one of the nation’s leading museums, Robert Gates, Sunday General Session, Sunday’s kick-off party celebrated the 100th anniversary of host BOMA/Seattle-King County, Technology and Real Estate: The Next Frontier of Industry Transformation, the factory where Boeing Corporation got its start, The Seattle Museum of Flight. Bookmark the permalink.